This Easter we tried something a bit different. 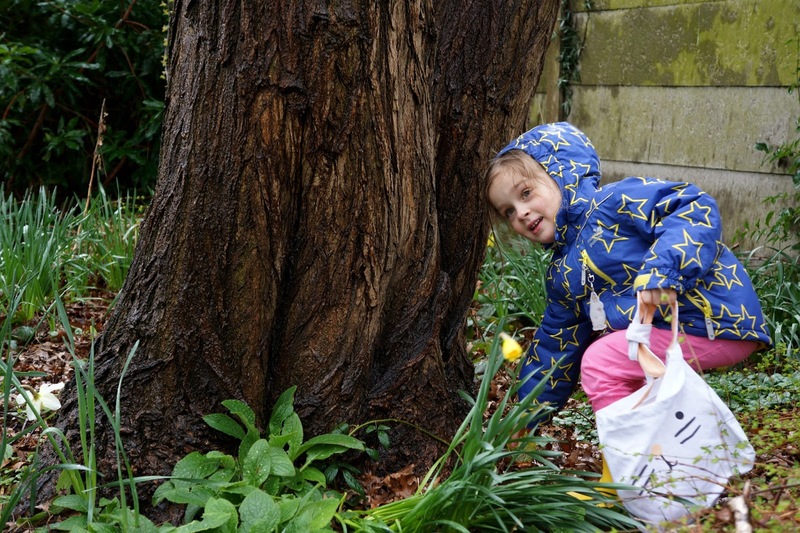 We did our Easter egg hunt at our local park - and had some very special non-chocolate Easter eggs to boot too. On Monday (no judging, we were just too tired on the Sunday!) 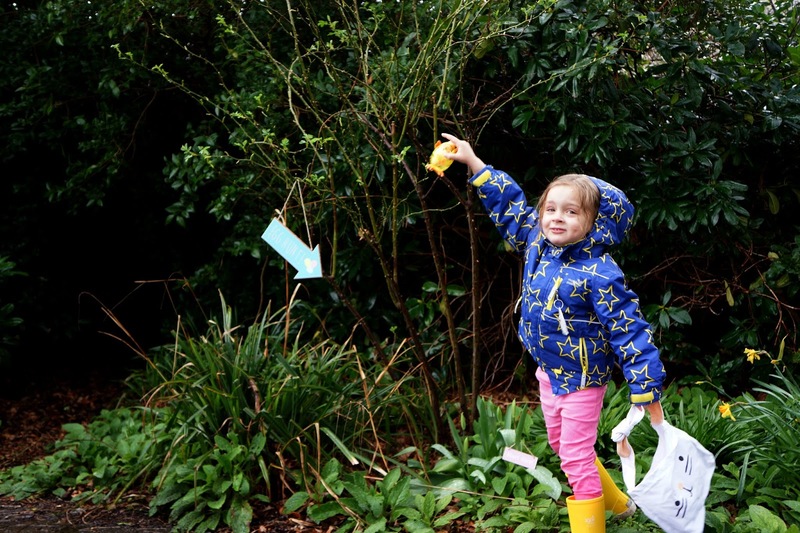 we finally decided to grab the bits and bobs I had prepped and go and stage an Easter egg hunt. Somewhat unluckily, after a fairly nice Sunday, it was actually raining on Monday. But as needs must and our daughter insisted, the hunt had to be done and off we went baskets in hand. She absolutely loved the hunt for the Easter eggs - as non-chocolate prizes we had filled these little see-through Easter chicks with a variety of small items. There were Easter stickers, bunny hairbands, bunny hair clips, some little princess bracelets, little Easter decorations and two new bag decorations, a fluffy Easter chick and a fluffy bunny. It was so much fun, and she shrieked with joy as she found the little chicks filled with special gifts. I would definitely recommend this approach, as we always feel like post-Easter is spent in a slump of chocolate. As the non-chocolate gifts I tried to choose little things that would either keep her occupied (stickers) or were anyway needed (you can never have too many hair clips! ), and admittedly, did pick up some small bits and bobs from her toy box that she hadn't played with in ages and had forgotten all about. It was getting quite wet in the end and us parents were glad to start making our way home. As we did though she insisted she would have to check the last few remaining potential hiding places. Because maybe, just maybe, the Easter Bunny had left a few eggs in this flower field. Or perhaps in that other flower field... She enjoyed it so much she didn't really want it to end! 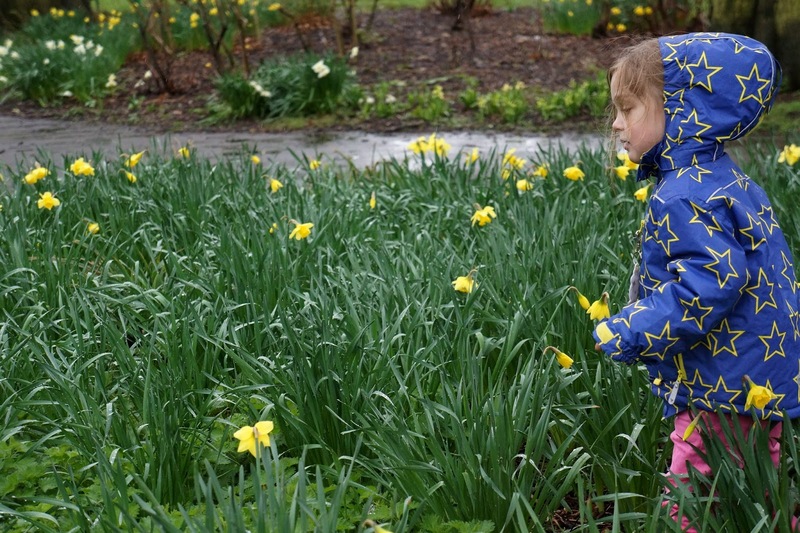 It didn't matter that it was drizzling, it didn't matter that she had already soaked her wellies and trousers by jumping in the puddles - it was all about the egg hunt now. And as we got home I asked her if the Easter Bunny should have left her chocolates... And apparently, no, the toys were much more fun and that this was "The best Easter ever!". Did you do an Easter egg hunt? 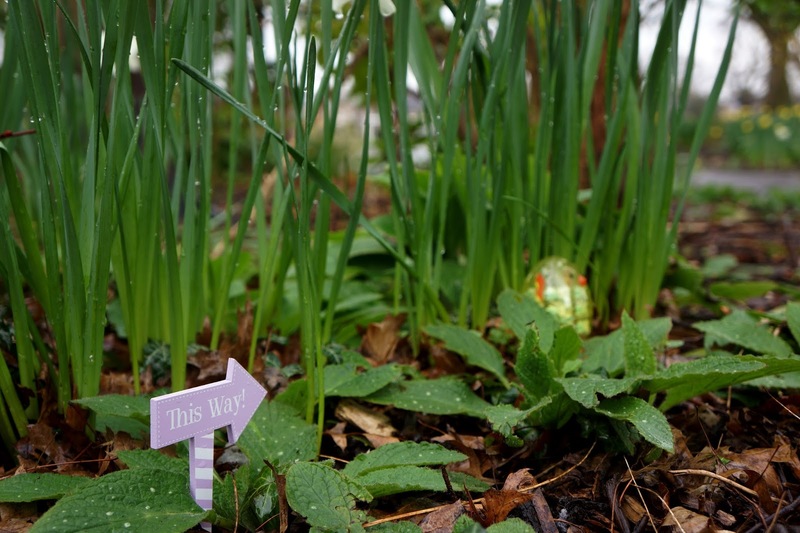 You might also like: Our Easter egg hunt in the woods and What to put in a non-chocolate Easter egg basket for 3 year olds? Thanks :) I was glad to have found those signs - will be able to use them next years too! The non-chocolate gifts were definitely a hit with my daughter! Thank you :) It is so much fun doing these hunts isn't it! 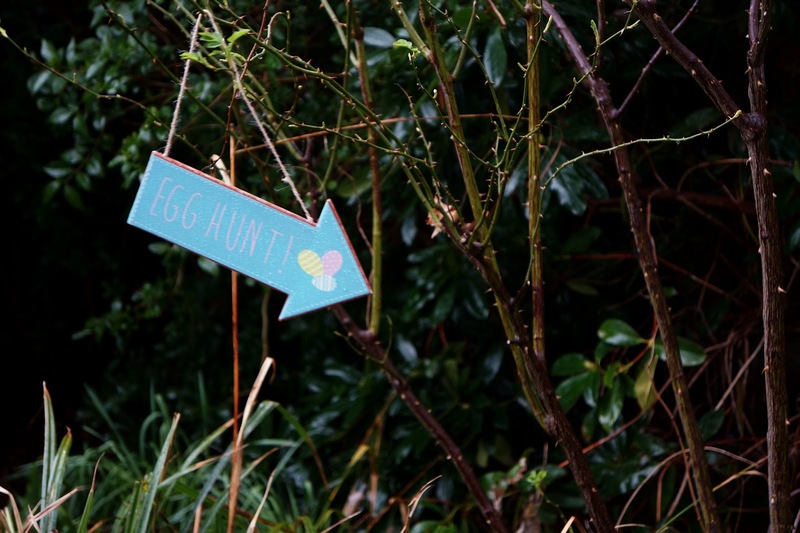 What a fab activity for you all to enjoy, Easter Egg hunts are always such a big and I love the look of these non-chocolate hunts! Your little girl looks so excited to be finding them throughout the park. 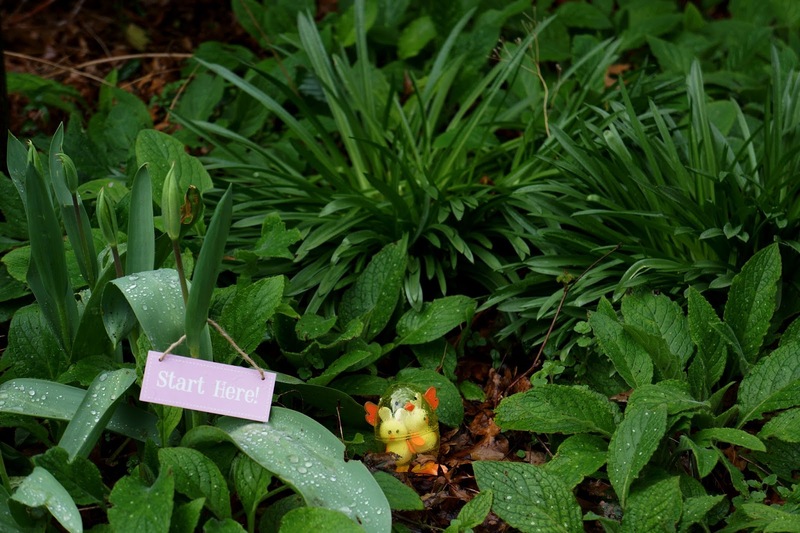 The idea of a Bunny hunt first sounds fab as well! Thanks for sharing with me on #CountryKids this week. What happened in our lives in March 2018?